Jason Block is the Product Manager for Women’s Health Equipment at Block Imaging. Along with coaching and participating in sports and fitness, Jason loves to help, challenge, and empower people as they make decisions about their medical imaging equipment. Due to an announcement from Carestream in late 2018 of their discontinuance of service for the Fischer/Siemens MammoTest stereotactic table, we've been fielding requests from an increasing amount of Mammotest users and renters concerned about ongoing service and support. If your facility is among those likely to be affected, there are several thoughts that may be going through your head: "Can we find another service provider? Do we need to consider another used/refurbished table option (i.e. Hologic Multicare)? Can we justify the purchase of a new Hologic Affirm 3D Prone Biopsy Table for 300k+?" We want to let you know that there are several ways Block Imaging can help alleviate the issue. Keep reading to see several capabilities you can take advantage of to continue offering breast biopsy procedures in your area. 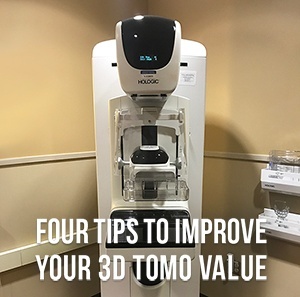 Since its release in 2010-11, the Hologic Dimensions 3D Tomo has been a leader in the women’s health arena, particularly when it comes diagnosing cancer in women with dense breasts. With 3D tomo mammography becoming the gold standard, and with prices coming down significantly, there is now a second wave of buyers who were not ready to buy new in 2010-11, but are now ready to purchase a pre-owned system, and looking for options to finance. The good news for them: leasing options are available. Check out the short video clip below to see lease pricing for a Hologic Selenia Dimensions 3D Tomo unit. With a variety of service coverage plans, leasing terms, and monthly payments, one of the options below may be a good fit for your organization. If increasing patient comfort and reducing overall radiation dose are among the goals at your facility, Hologic's C-View software for Dimensions 3D is a valuable tool that can help you get there. 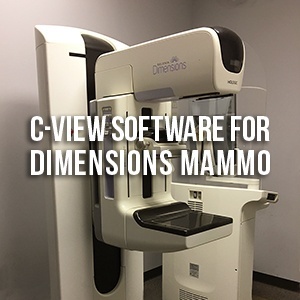 If you're considering a Hologic Dimensions 3D mammography system, we suggest consulting with your provider about getting one equipped with C-View. We'll share more about how it works below. Watch the short video clip below to learn more about how C-View software brings more comfort, lower radiation dose, and time savings to your patients and your team. If you own a 2D mammography system, you’ve probably seen most of your competition step up to 3D. 3D systems have been proven better at detecting cancer- especially in dense and/or fatty breasts. More insurance providers have also come aboard with increased reimbursement for 3D studies. With these factors at play, the feasibility of justifying a 3D price tag seems more doable for more facilities. Your next question might be, “Can I find a quality 3D system on the secondary market?” 6-12 months ago, the answer might have been, "Probably not." Today, however, there is a slow, steady supply of units coming onto the secondary market. 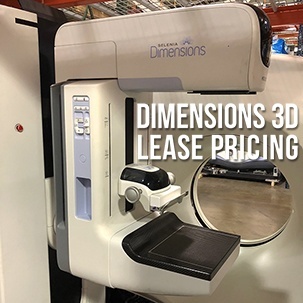 We believe that purchasing a previously-owned Hologic Dimensions 3D Tomo unit can be one of the best mammography equipment values if the seller is reputable and the buyer is well-informed. To help those of you who may be looking for a Dimensions 3D unit, know what to look for and what to expect, we'll share four tips that we've seen buyers apply for better equipment and smoother projects. If your facility is preparing for its first Hologic Selenia digital mammography system, congratulations! Now, to begin screening patients as soon as possible, you'll need to make sure the room that will house your system meets the particular power requirements of the Selenia. 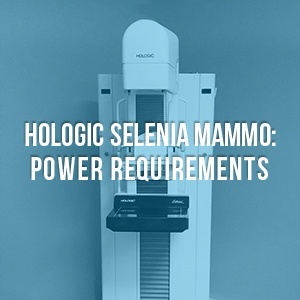 You can use the short video guide below to communicate with your electrical contractor about the power supply your room needs to run your Hologic Selenia mammography system. An electrical spec chart and a few recommendations for smooth installation are included.